What happens when poetry meets photography, and then sound, and then video? After his debut novel, Lonely Roads, and being shortlisted for the prestigious Miles Morland Scholarship for African writers in United Kingdom and the OYA awards at home in Nigeria; William Ifeanyi Moore returns with UNCENSORED, a collection of poetry and photography rendered to open conversation around aspects of society most would rather sweep under the carpet. In the project, working closely with photographer Faith Chinwendu Chigbu, themes like the dehumanisation of prostitutes and their clients, the challenge with free thinking and expression, mental health, subjectivity of beauty, aggression with language and so much more are touched on. 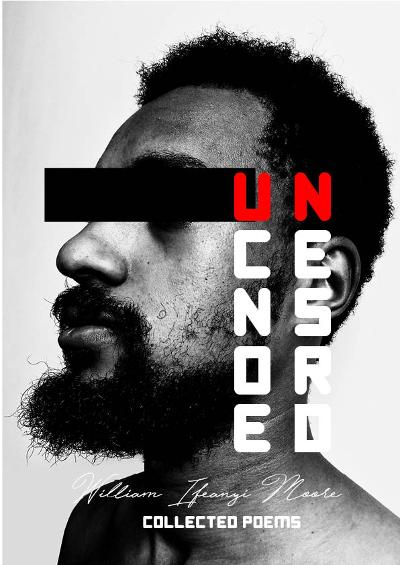 Not conforming to typical styles of poetry demanding of rhyme structures and verse arrangement, the poems in UNCENSORED are intentionally rough, jagged and jarring in a way that is both easy to understand and evocative at the same time. The release and reception of UNCENSORED marks another milestone in the progression of the Nigerian contemporary literary culture, especially in the domain of poetry and experimentation. It is truly an exciting time to witness so many young voices making cultural contributions in the arts. We hope to see more of this and we hope you enjoy this collection while pondering some of the serious themes. Showing: November 18th, 2017 to December 2nd, 2017. Where: Revolving Art Incubator, VI. William Ifeanyi Moore was born and raised in the Eastern region of Nigeria before traveling to United Kingdom to further his education in Pharmacy. On coming back home, he reconnected with his passion for writing and since then he hasn’t looked back; publishing his debut novel Lonely Roads, and then 30/30, a collection of short stories. His work has been featured on BrittlePaper, Venture Africa, BellaNaija, TNC, Omenka, the Kalahari Review and other such publications. Most recently he was shortlisted for the Miles Morland Scholarship for African writers, and he was also nominated for the OYA awards in the category of Creative Writer of the year. He co-hosts Words As Therapy, a space that allows young Lagosians talk about psycho-emotional issues, and he is committed to writing literature and poetry to improve on the human condition and the society at large. You can follow him on social media with @willifmoore and you can visit his website.